2. It reduces the antenna transmissions of out of band noise affecting other circuitry on your UAV (such as disrupting the GPS receiver leading to loss of fix, or the control signal at 2.4GHz) The ceramic filter inside the BPF.58 has better insertion loss and stop band performance than competing LTCC or lumped element filters, while also having good rejection at band edges. 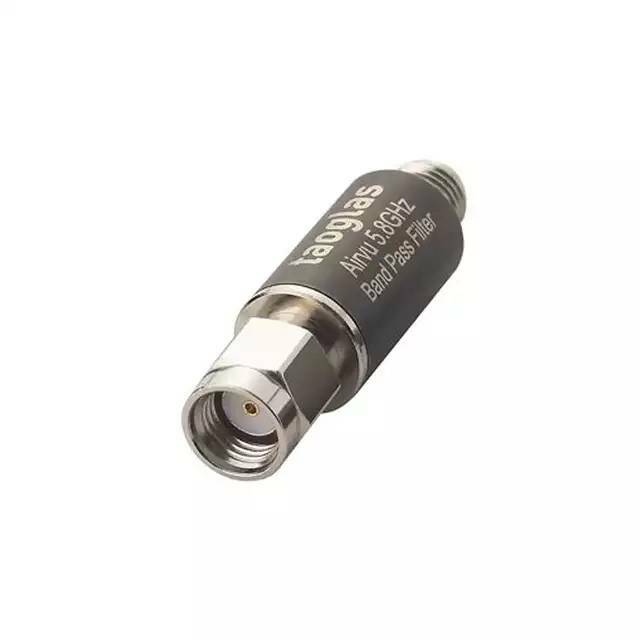 It uses a standard RP SMA(M) Plug to RP SMA(F) Jack interface, as most antennas at 5.8GHz have a RP SMA(M) connector as standard. This filter is designed to be easily screwed onto this standard antenna SMA connector.